Abstract: As our world becomes more computerized, security and privacy takes on a prominent role in allowing us to enjoy the benefits of new technologies without the risks. Addressing the new challenges that come with this role requires a change in how we approach and solve problems in computer security. My vision is that we must view computer security as a whole-system property ranging from the physical-layer right up to applications and end-users. In line with this vision, my approach to computer securityinvolves formulating the right security problem to work on, addressing design-level issues by constructing strong defenses at the appropriate layer of abstraction, and challenging common assumptions to understand realistic threats. In this talk, I will give several examples of my approach and vision, focusing on emerging technologies that span the digital-to-physical interface. I will cover technical results at various level of abstraction, including analysis techniques that found exploitable design-level vulnerabilities in closed-source smart home platforms, a new design for trigger-action platforms that provides strong integrity guarantees, and an analysis of how realistic attacks on machine learning can occur in the physical world. Finally, I will share my vision of the future of security and privacy research in an increasingly connected world. Bio: Earlence Fernandes is a research associate at the University of Washington. He formulates and solves emerging problems incomputer security using a combination of techniques ranging from threat modeling, measurements, experimental attack analyses, and system design. His current work focuses on the security and privacy issues of emerging technologies, including consumer-facing cyber-physical systems and deep learning systems. Earlence's work has been recognized with two best paper awards (at IEEE Security and Privacy, and IEEE SecDev), has been featured in numerous popular press publications (Wired, Ars Technica, The Verge, Science Magazine), and will be on display as an exhibit at the Science Museum in London. 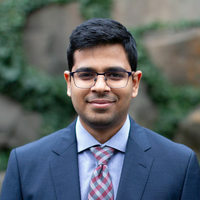 Earlence earned his Ph.D. in Computer Science and Engineering at the University of Michigan in 2017.